The da Vinci 1.0 Pro 3in1 is XYZprintings first 3D printer that lets you 3D print, 3D scan and laser engrave* in one device! Our most multi-functional 3D printer is used by hobbyists, designers and small businesses looking to create impressive and personalized objects. * Laser engraver is an optional add-on not included. 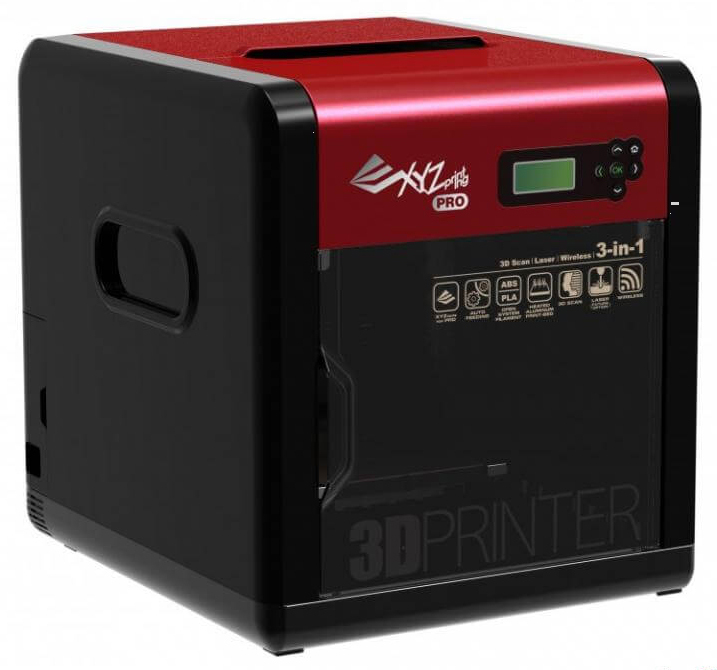 The XYZprinting da Vinci 1.0 Pro 3in1 is the first 3D printer that lets you 3D print, 3D scan* and laser engrave in one device! Our most multi-functional 3D printer is used by hobbyists, designers and small businesses looking to create impressive and personalized objects. Our rapid, integrated 3D scanner only takes a few minutes to capture your objects with high resolution. This 3D scanner will recreate your objects digitally. They can either be 3D printed as they are or even adapt the 3D scanned files in post-production software to add your own specific features. The 3-in-1 is even easier to use than its older brothers. Now achieving professional 3D prints is simpler than ever. The aluminum building plate spreads heat evenly to decrease the chance of warping. Our 3D printer also features a low maintenance extruder design and improved calibration, both of which improve 3D printing quality. You asked – we listened! 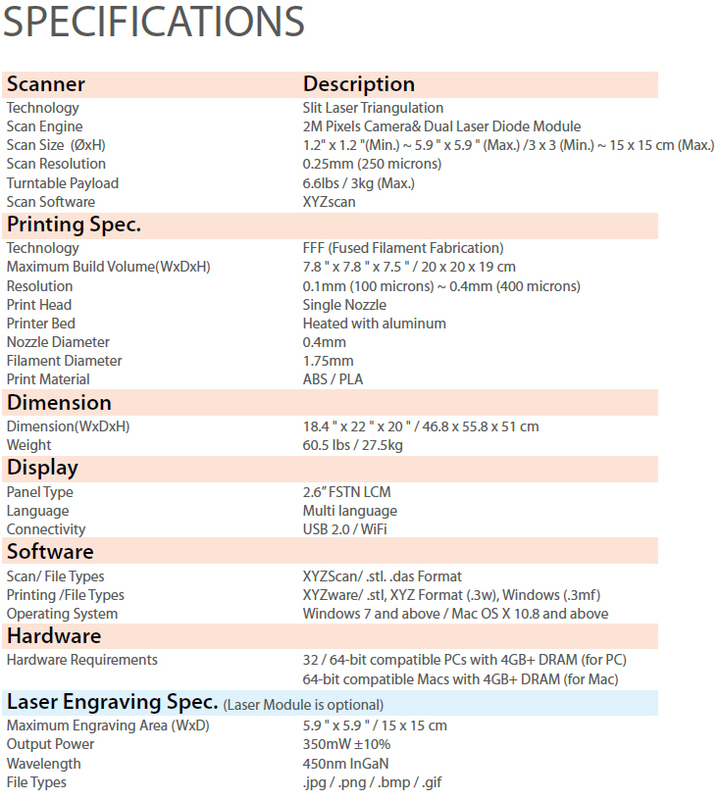 This wonderful 3in-1 3D printer works with non-proprietary filaments. Now you can use any PLA or ABS thermoplastic of your choice. Experiment with filament of third-party supplier. For a safe and environmental friendly manufacturing process we recommend you using our PrimaVALUE, PrimaSELECT and EasyPrint PLA or ABS filaments. Individualize your 3D prints or anything else! You can switch your extruder to upgrade to an optional laser engraver, which lets you personalize your items. Engrave a design in wood, leather, cardboard and many more materials. Believe in you and your creativity. Make your imagination become real. 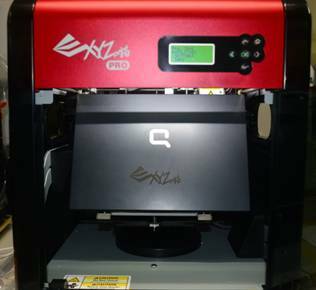 3D print, 3D scan & laser engrave (optional) in one device with the XYZprinting da Vinci 1.0 Pro 3in1.